If you are creating a new character, there is currently only one valid starting location on Tatooine. That valid starting location is Bestine. Please DO NOT start new characters on Tatooine in either Mos Eisley or Mos Entha. If you create a character here, you will not be able to complete the tutorial and get into the game. We anticipate the fix for this to be pushed to the live service on Tuesday, October 26th..
We have added some new screenshots to our Loading screen page and have added a new profile to our M-N page. We have added a new guide to our Misc Guide section today and have also added two new profiles to the Q-R and G-H page. Besides that I have been playing on the JTL Beta a lot, WOW, WOW, WOW. a they having a Kill the Devs day which is fun oh ya I'm also cruising around in my new Flash speeder too. cant wait for it to go live. 10/15/04 - Look what we got. We here at MyGalaxie.com have received our exclusive JTL full copy and it is awesome!!! J/K We received our EBGames.com pre-order beta entry today and waiting the two hours that it takes to install it. I bought the Logitech Extreme 3D Pro. We might give it a review it. We have also updated the C-D page. As for the rumor of Lucas Arts and SOE breaking up, it has been denied by the CEO of SOE, but then again SOE wasn't the one rumored to be doing the dumping. There is a rumor going around that Lucas Arts is unhappy with the way SOE has handled SWG and will announce the breakup and the next expansion the day after JTL launch (Oct 27th). here are links to websites reporting this rumor. mmgn.com, joystiq.com. some of the rumored changes will be the removable of playable Jedi and hopefully a new community forums that supports signature images. Guess will soon know if this is just a rumor. I just restarted my computer and loaded up SWG. Noticed that it took a long time to load and then seen that there's a new log on screen..SWEET check it out. Last night I jumped on the Test servers and seen what's on the way, "wow" lots of cool little things to be seen, check out our Space screenshot section to see some shots I took. We have also updated the A-B site today with two new profiles. and thank you everyone for voting for us on the Top200 rating site we are #1 again for the forth month is a row. woohoo! We have updated the S-T page with a new profile. There a 15 JTL beta accounts up for grabs all you have to do is get a great screenshot in the required categories and your in. click here to read the details. A second guide was added today to the newly added Misc guide section. We are also throwing around some ideas for the site on our forum head there and put your two cent in. We have added our first new guide to our Misc guide section today and are working on the second one, it should be out soon. If you visit our Guides page you will find that we have changed it a bit. We have put up a new sections called Misc guides that will focus on showing you how to improve your game experience, like how to improve your game performance, record your game, run 2 accounts on one computer, etc. 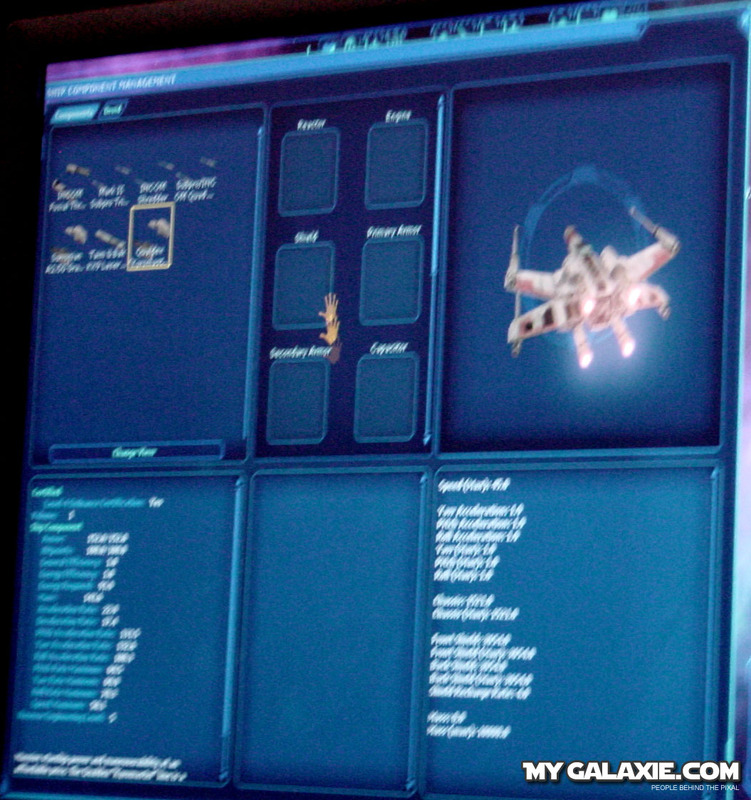 The Second species has been confirmed to be the Sullustans. We here at MyGalaxie.com have said this was going to be the next species. Another thing that some people will find useful is that there has been an option added to turn screen shaking off, you can find it in the "misc" options. Today we have added a new profile to our C-D page. It also looks like East coast Galaxies had a problem loading for a while due to all of the tornados going on, this problem has been resolved. Today we have added a new profile to our G-H page. It also looks like East coast Galaxies had a problem loading for a while due to all of the tornados going on, this problem has been resolved. 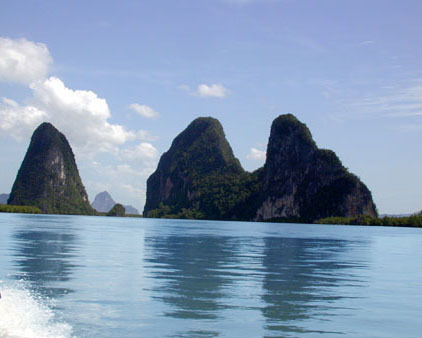 Today we have added a new profile to our K-L page and are continuing to add new items to SWGitems.com. SOE will improve the in-game mail system by making it faster and more stable. but be worn that before that is done SOE will be doing a mail purge of mail older then 6 months and mail that is longer than 4096 characters will be deleted. 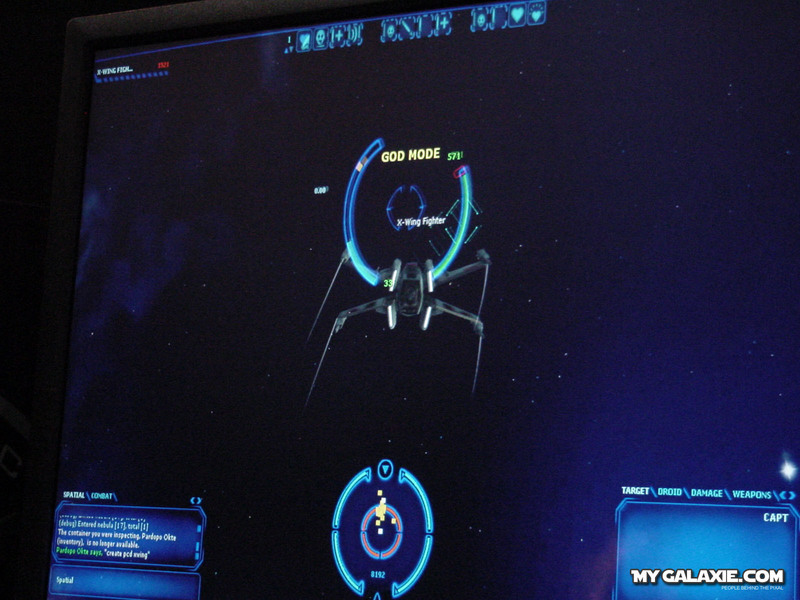 SOE has revealed a new starship the other day along with some real nice screenshots of ships and even a loading screen. 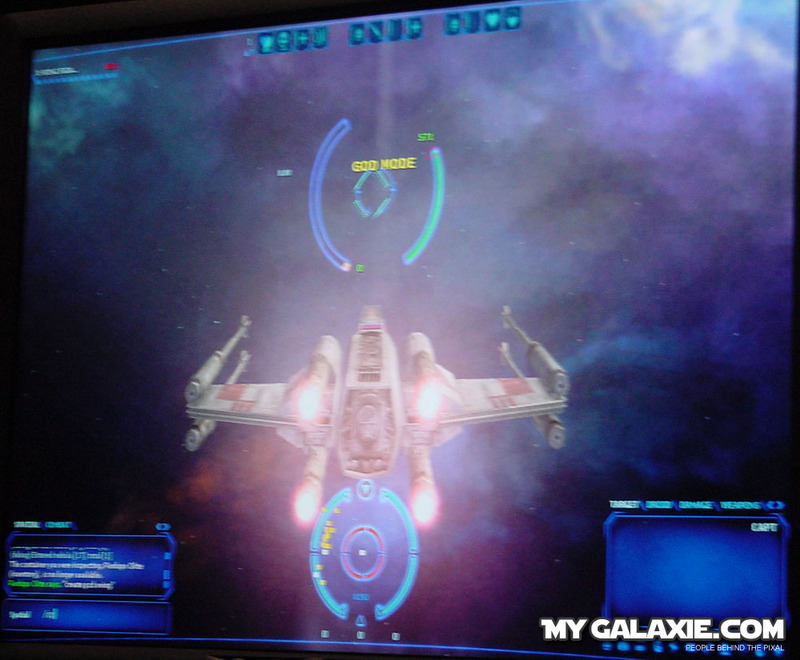 You can see the screenshots here and read up on the new B-Wing starship here. 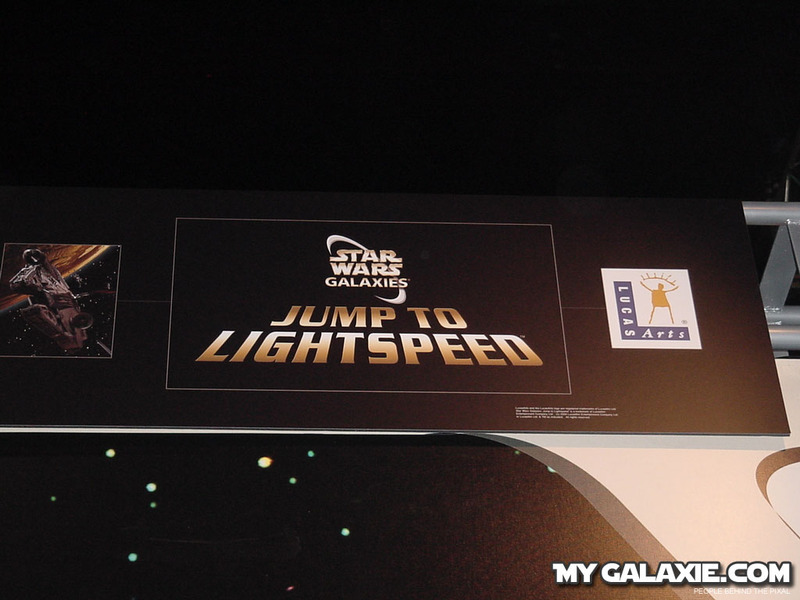 We can also expect a lot of new music for the JTL expansion, some from the prequels, original trilogy and even some newly made music made just for SWG. Sounds good to me. 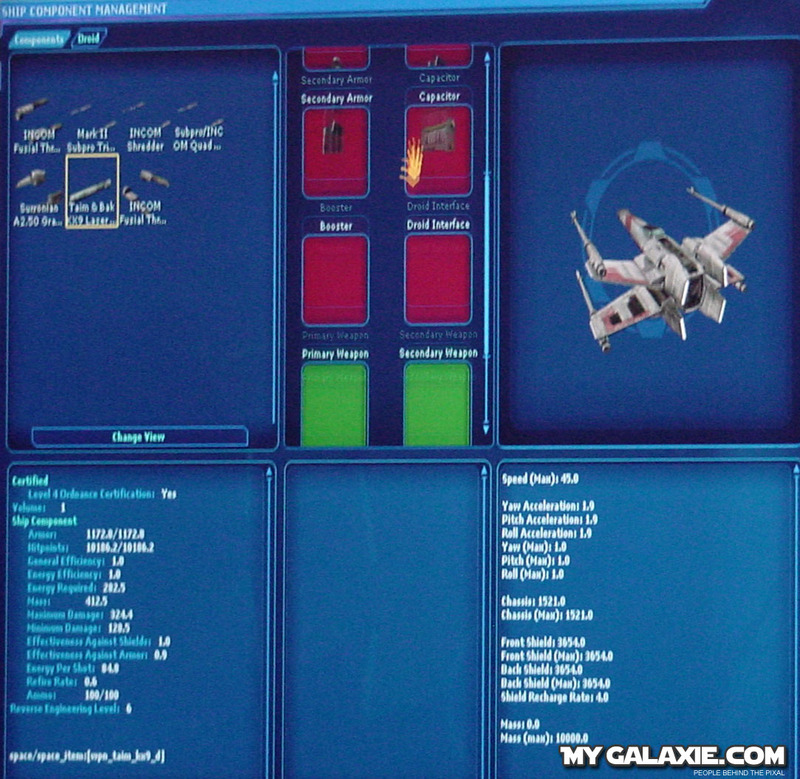 MyGalaxie.com is still helping SWGitems.com with graphical changes, so you can expect some pretty nice changes soon. Beta for JTL has started and it looks like Fan fest attendees get first dibs on it, Next will most likely be EBGames pre-orderers and then maybe Veterans. Guess we'll see what SOE thinks of it's veteran players soon. you can read about it here. Today MyGalaxie.com has help give SWGitems.com a new look. We will also help with future site improvements. 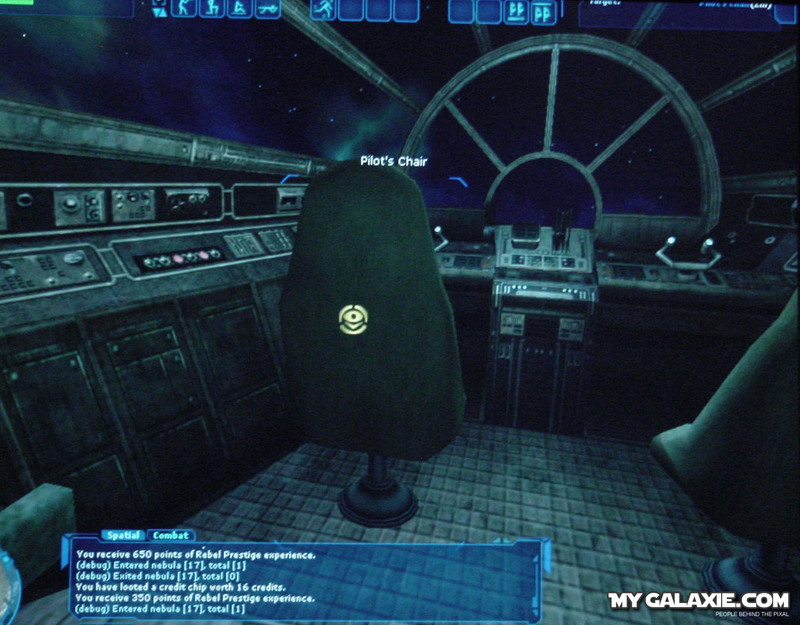 We have come across a new picture of a SWG Droid today it looks like an R2 unit but it has a can for a head, we have a picture of it on our screenshot page check it out. The M-N page has also been update with a new profile. We are one part away from finishing the Loot Kit guide, we need a Blue Rug Adhesive and that's it were done, I will buy or trade someone 3 parts for 1 blue rug adhesive. I am on the Bria server /tell Rodja if you can help. We have also added a new profile to the K-L page. We have added a new guide for the Hero of Tatooine quest. Plus we have found out that the next species in JTL will be the Sullustans. Eclipse is officially the first server to complete the Jetpack checkout a photo here. Plus we have added a profile to the G-H page. 8/31/04 - 1st rule of fight club, you don't talk about fight club. Bria has finally started its own fight club, it will be held on the Planet of Tatooine between Bestine and Anchorhead at -1016, -4842, here's a waypoint picture to show you were it is. It is being thrown by Os-sa Hegin, you can contact him in game if you have any questions about the event. It will be on 1st September 8pm GMT/ 1pm Pacific, Convert to Local Time. 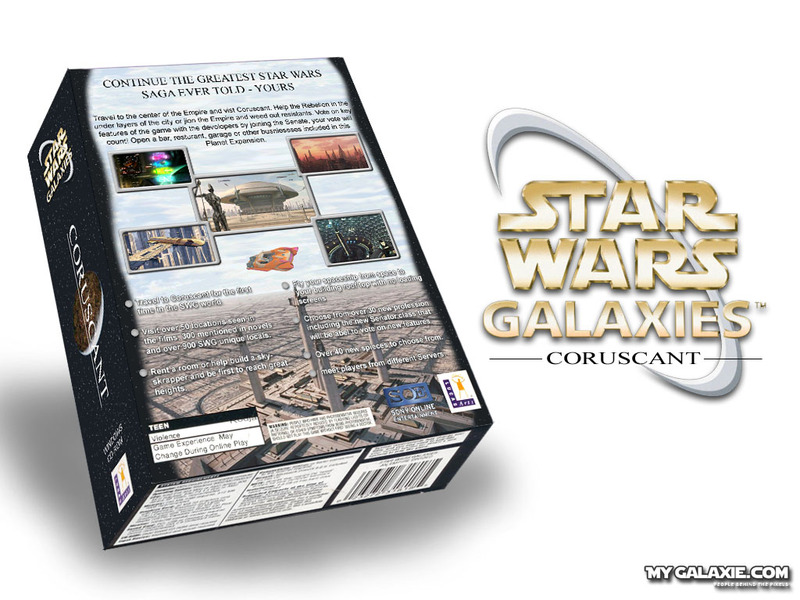 The box art for JTL has been revealed along with a confirmation of the Fire Spray ship (Jango's ship) which is on the cover. There is also a way to receive a special ship or from the looks of it a speeder if you preorder your copy from EB Games for $29.99 it will ship on 10/26/04, pretty good deal. We have also added to new profiles today to the E-F and M-N page. We have been working on some new guides and hope to have them out soon so stay tuned and check back with us. As you can see we have added a thumbnail image of the recently added profiles. We have also added a new profile to the O - P page. This has been a week for JTL news along with some great screenshots of the new systems there has been a possible new starship reveal. Yes the Fire Spray that Jango and Boba Fett looks like its in the game. There is a blue print for the chasis which you can see in this screenshot. To check out the other great news check out this thread. We have also added a new profile today to the I - J page. 8/19/04 - Great New Video! We have come across this great SWG video made by Javier of the Gypsies. Cantina Crawl 9 has a great Kill Bill theme and very nicely done, one of the best I've seen from the series yet. you can also view Javier's earlier work here. 8/11/04 - Publish 10 sneak peak! It looks like some people have looked at the .tre file of publish 10 and have found 4 new carbines 4 pistols and 2 Kashyyk weapons. (maybe from EPIII). the is also what seems like a new POI on Dathomir the "Village". the are some other cool files like around 50 cyborg arms, shared force melon, new rebellion files and what looks like imperial ships oh ya and there is a file called "distant_ships_dogfight", maybe we'll see dogfights in the air instead of star destroyers. that would rock. Read the full thread here. Today we have submit yet another Neitro guide. this ones a big one. go to the guides sections and see how you can help the rebellion. 8/5/04 - New Guide ! Neitro is on a roll with his second published guide today with his third to follow soon (its a big one). SWG has announced that there going to delay the publish of 9.3 until Tuesday the 10th. Thanks to Kexi we now have a new guide that shows how to get the legendary RIS Armor. There has also been a big announcement about macros going away. Sounds like bad news for all those AFK players. read the thread here and they also announced a player purge for accounts that have been canceled for more then 6 months, read about it here. We have added a new guide today that shows how to complete the Jabba theme park. Its a low level theme park so most new players can do this. We have also added a new profile yesterday to the G - H page. 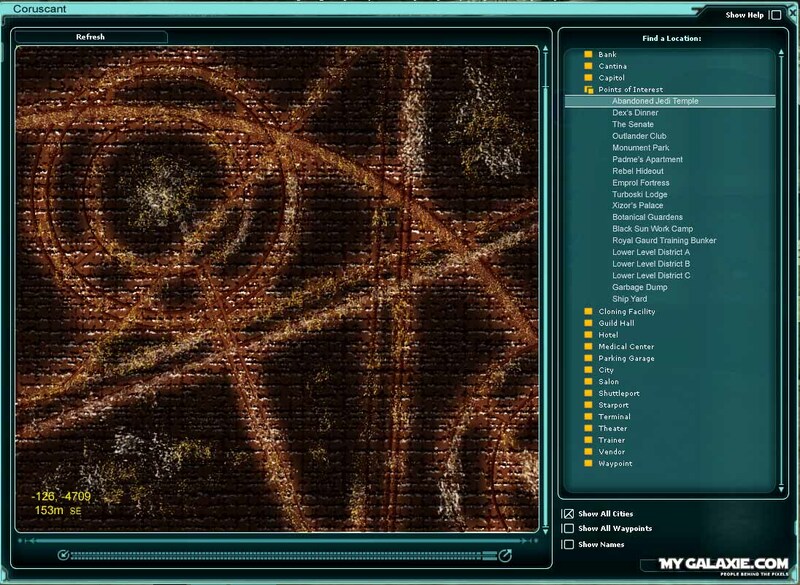 Today publish 9.2 went live introducing Wookie armor, the 2nd swoop track on Tatooine located at 2380, 5000 and new crafting missions given by NPC inside commercial Guild Halls. I know we have had some problems with Netscape Browsers but those days are over. We received help on how to setup the frame code to work with Mozilla, etc. thanks Jay. This has been a busy week for the Star Wars community, We found out the the new title for EPIII will be "Revenge of the Sith", the Ewoks, Droids cartoons and Ewok movies will be out on DVD before Christmas with Clone Wars following soon after. What the Wookie home world of Kashyyyk looks like (Great choice for a new SWG planet) if you have Hyperspace you know what it looks like if not here a picture just imagine big trees with big tree houses. We seen the new EPIII video game. and Have seen Hayden in the Darth Vader suit for the first time. Ya this was a good week. Today is a small update. We have updated the Loading screenshot page with 20 new loading screens. you can check them out here. Today we have added forums to our site since some people have been asking for them. Some other news in SWG today are that some Fan Fest Puzzles were released so now you can see what you missed, check them out here. And if you haven't seen it yet SWG has started signing people up for the JTL beta. To register for beta go here. We have come up with an idea for a Messenger that would allow you to check things like structure maintenance, friends online, mail, etc. We have and a mock up of what it could look like and a flash demo of how it would work. go and check it out on our concept screenshot page. SWG has announced a new species today, it the Ithorians along with announcing 2 new multiplayer ships. The new 9.1 patch was also released today that fixes some bugs but includes swoop racing on Corellia. As for us we have added a new guides showing how to obtain an x-wing power coupler and have added two new profiles to the K-L and U-V section. Looks like Force crystals are going to look different when publish 10 comes out or they may be a whole new crystal. not much has been said except that this is the new force crystal. Plus if you haven't seen them already SWG has released new 360 degree screenshots of the new space sectors, you can see them here. We have been asked to make linking to profiles easier so they could be linked to from forums and other websites so now you will find the link url and the bottom of the profile page. Along with including link url's we have given the pages a nice graphical retouch. Two new profile have also been added since our last update. Today we have added a new guide showing how to get a schematic for the new Shellfish harvester. Go to our Guides section find out how to get this. SOE has started introducing the new swoop tracks that you can race on. check out the full story here. With the new publish comes some great new features. New badge display system is one of I like a lot (I just love badges). but the one new feature that has everyone racing to complete is the Hero of Tatoonie mission that when finished gives you a ring that will speed up your health regeneration. The guide is being made as I type. We have also added two new profiles to the S - T page. Oh ya, Racing has now been confirmed. (Pod racing? I hope). We have integrated a new icon feature to our profile pages that will help you identify players as either male or female, along with special rankings such as a Developer or a Jedi. Specking of Jedi we have added our first Jedi profile today. 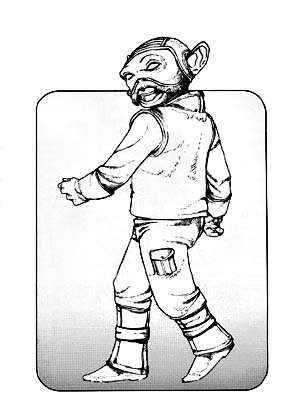 Kexi from the Valcyn Galaxie. You can find her profile under the K - L page. Publish 9 should come out today so we will race to bring you the revamped Hero of Tatoonie badges guide so keep checking back. We have added a small guide today. It explains how to get a vile of the Berserker Virus. It is in our guides section so go and check it out. SWG has announced that 6month or older veterans will receive a SoroSuub Personal Luxury Yacht 3000 when JTL launches and that maybe there will be gifts for people playing since the begining but thats a big maybe. id like to see a jetpack inside my new 3000. Added new screenshots to the Loading screens and the locations pages. we will put up more soon. Two new profiles have been added today to the M - N and K - L section of our site. 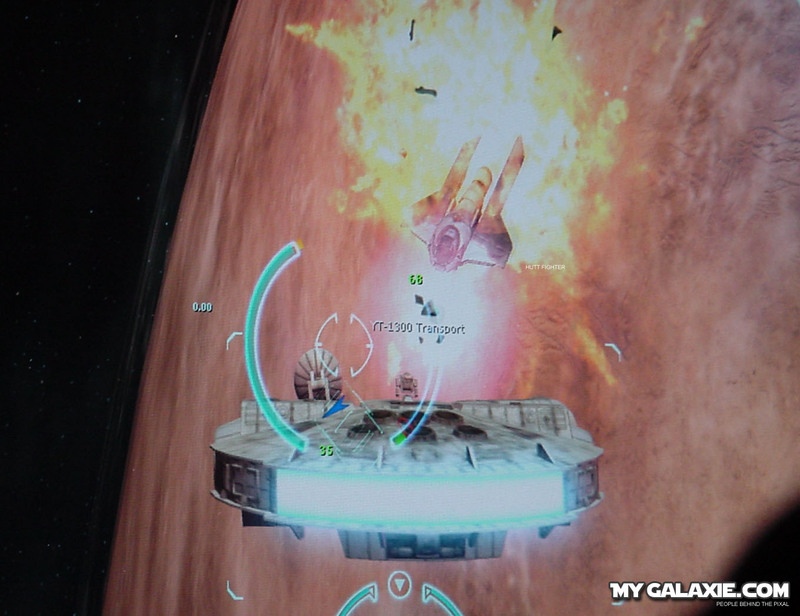 There is also a disturbance in the SWG websites today. SWG Stratic in down today due to server relocation issues. hope all goes smoothly. There was a new guide added today for the planet of Naboo. We are still looking for new guides to post up so if you have one or know of one, just contact us and let us know about it. We have a brand new page added its our screenshot section If you have some you would like to submit just add send them here or submit with your profile. Nym's Theme park has been added today. Tons of pictures to so you exactly what you need to do to receive the reward and Badge for this theme park. Small update today, we have added a guide to get the Scythe Blade schematic along with that guide it will show you how to get a Krayt Dragon to spawn with the reward given to you. Three new profiles have been added today, and the funny thing is that their all in S-T section of our website. Go and check them out. We have also come across a great video made by Balgosa Windspire, its the best video I've seen to date go and check it out here. Two new guides have been added today. 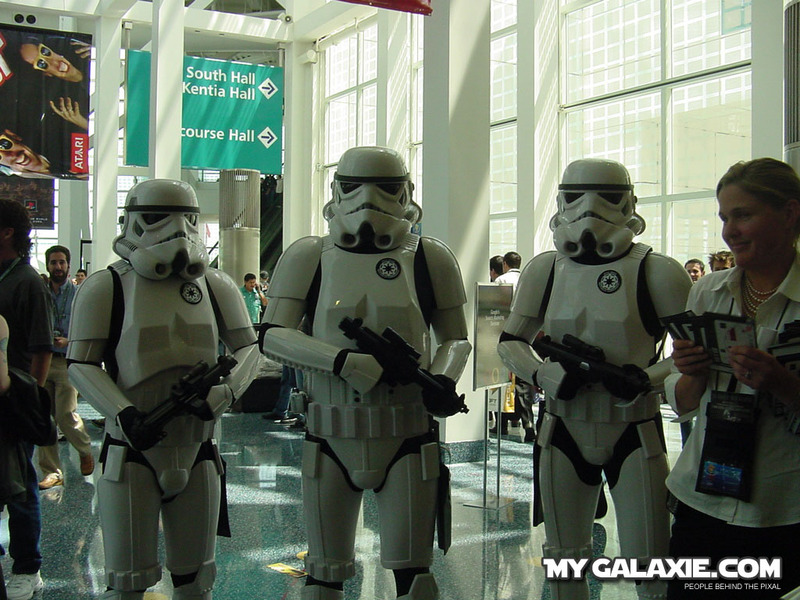 Plus SWG Fan Fest Started yesterday and already pictures have started to appear on the net. If you have pictures of the event and would like us to host them for you just contact us. Three guides added today including a guide to get one of the new paintings out. We have also been mentioned today on the SWG Stratics website today. Today we have added the Krayt Dragon Skull guide along with a new profile. Soon we hope to have even more guides added to the site. 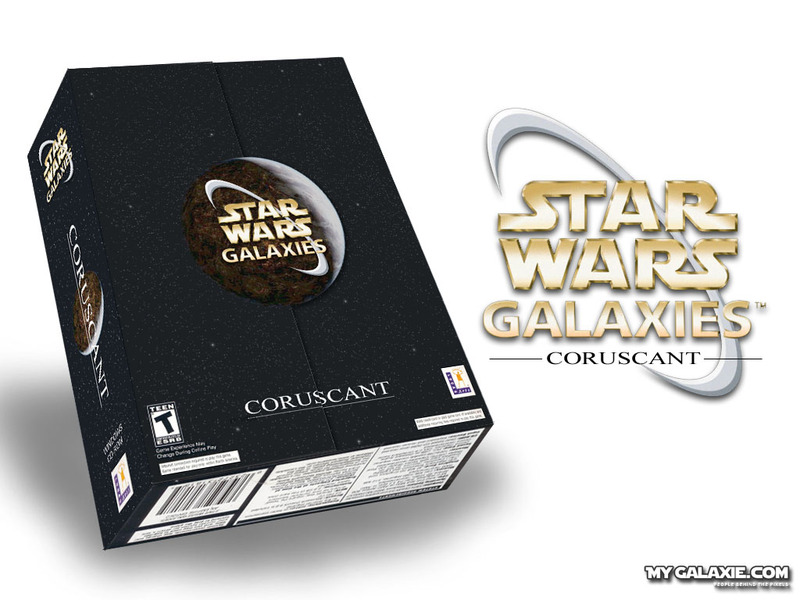 6/1/04 - The Future of SWG? We have added the Master Hunter Trophy guide today, this is an easy one and could be done within an hour. We have added a nice guide that explains how to get Anakin's helmet plus a nice guide on the new Death Watch Bunker. We are also looking for some help with finishing this guide. if you can help contact us here. Today we have added a new guide that shows you how to get a briefcase, pens and an award. its a simple mission and can be done quickly. we are also adding more soon. We have also improved the submission process. it is now a lot easier. We are changing the site around a little to make it easy to upgrade and upkeep. One big difference is the menu to the left <----. We are also planning to add a PA section were you can come and register your PA and members. We have also been added to the SWG top 200 so if you like this site go and vote for us. 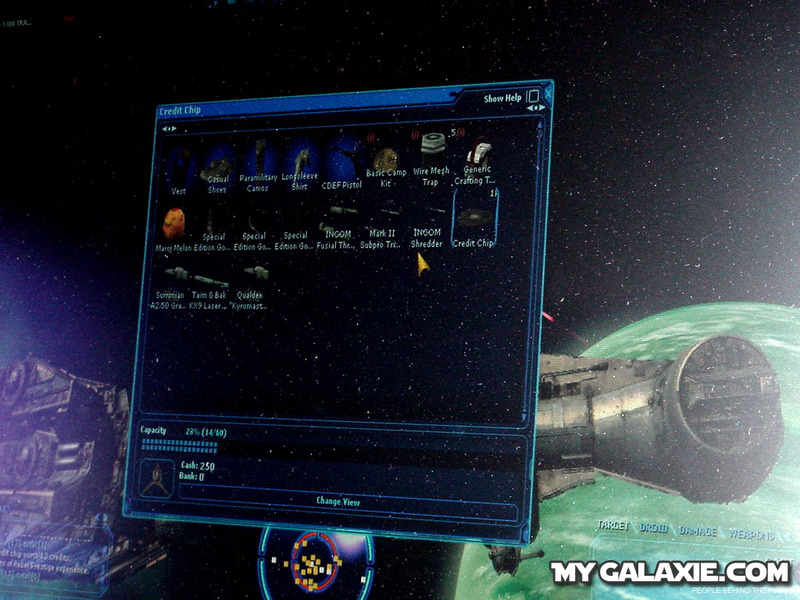 Welcome to the new MyGalaxies.com website. Here you can find real pictures of people that play the game and also a little bit about them. So be one of the first to submit your character and secure your place at the top of a page. Submit now.